To help your business with easy setup, improved account maintenance, and increased reach for your Bing Shopping Campaigns, Bing Ads is happy to announce a great lineup of new product features. 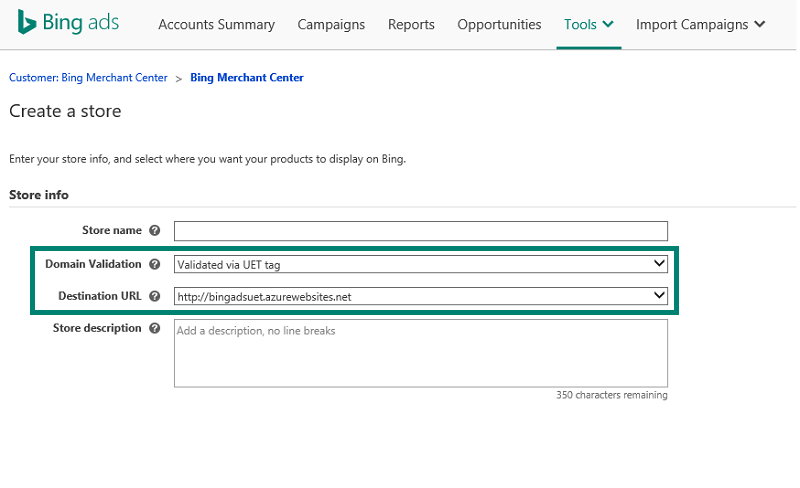 With domain verification via UET tags, you can quickly set up a Bing Merchant Center (BMC) store. 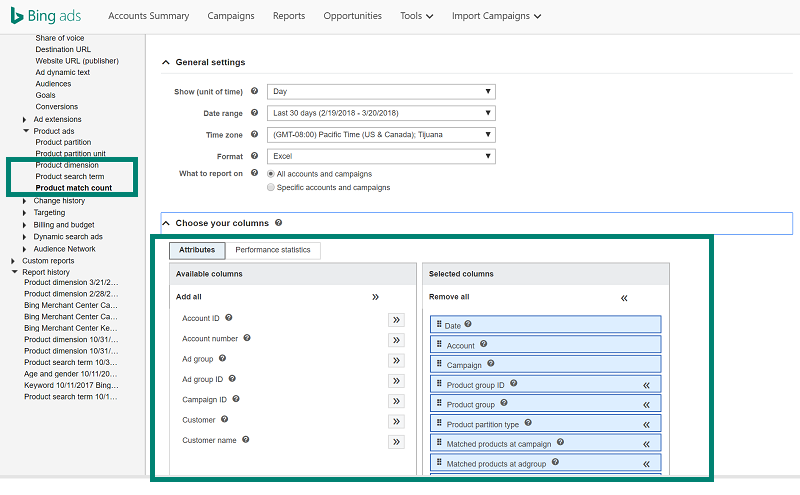 Arming you with the tools for optimizing and maintaining your shopping campaigns, we now surface new reports targeted for your shopping campaign products: the product match count report and targeted product insights will help you ensure that no product is left out. Additionally, BMC notifications will let you stay abreast of your product offer statuses. Lastly, we’ll start showing multiple images in Product Ads by the end of April, with the goal of driving more-informed shoppers to your Product Ads. To help with quick BMC store creation, we’re happy to introduce a new method of domain verification via Universal Event Tracking (UET) tags. If you want to list your shopping product offers on Bing, you first need to create a BMC store. For a store to be created, you need to verify the domain of the store. This can be done through Bing Webmaster Tools, but the new method with UET tags has made it simpler to verify a domain and create a BMC store. If you’ve tagged your website with UET tags, these domains will show up in BMC when you go through the store creation workflow. Select the “Validated via UET tag” option for domain validation, pick the store domain in the destination URL field, and go ahead with the store creation. Help save time by quickly verifying, claiming, and creating your BMC store. Help speed up setup, with a few simple steps to verify and claim a store domain. Products Submitted: Total count of products that have been submitted/uploaded to your store. Products Ready to Serve: The number of products that have been processed, are error-free, and are eligible to serve if they have a bid associated with them. Products Targeted: The number of products that are being bid upon by the product group (excludes all excluded nodes and campaign filters). % Products Targeted: The percentage of products based on the total products submitted that are being bid upon in the product group. If you’re looking for this information at scale (i.e., across all your campaigns in any account), you can pull the product match count report from Reports -> Product ads -> Product match count. In this report, we expose the matched products at the campaign, ad group, and product group level. To make it easy to monitor product offer statuses in BMC, we’re providing product rejection emails in BMC. This will help you stay on top of product offer issues and quickly fix them, so you can ensure your product offers are serving at all times. BMC will notify you of product rejections in addition to expiring products in the store. To sign up for the notifications, add your contact email ID to the technical contact list in the store settings. We strongly urge you to take advantage of this feature, so you have the latest information about product offer statuses. This will help you keep running the shopping campaigns smoothly and glitch free. Drive more traffic, increase ad engagement, and provide searchers with a better perspective of your Product Ads by including additional images in your product offer feeds. Additional images can appear to potential customers in ads for your product and are commonly used to show a product from different angles and/or with product staging elements. Today, each product ad offer has a single image associated with it. With the additional images feature, we’ll support up to 10 additional images per offer. That makes a total of up to 11 images (one main image plus 10 additional images). The feature is coming soon to Bing Ads, and you can start right away by specifying these additional images (list of comma-separated URLs) in the product feed using an existing optional column [additional_image_link]. The same validation rules as [image_link] will apply. The URLs of additional images. Link must be HTTP or HTTPs only. Image must be bmp, gif, exif, jpg, png or tiff, and the recommended minimum size is 220 pixels by 220 pixels. The image size cannot exceed 3.9 MB. You can have up to 10 images, separated by a comma (,) delimiter. "%2C" value in the image URL should be considered as (,) and part of the image URL link (for example, two image URLs that contain commas will look like: http://www.bingshop.com/image2%2C3.jpg,http://bingshop.com/image2%2C4.jpg). Examples of product images and thumbnail images. We're always looking for feedback on how we can improve Bing Shopping Campaigns to help you do more and work less. 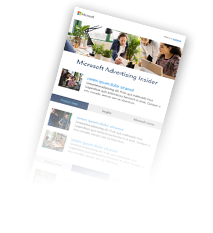 We invite you to ping us on Twitter, suggest a feature on the Bing Ads Feature Suggestion Forum, or send us an email with your thoughts to: bingads-feedback@microsoft.com.